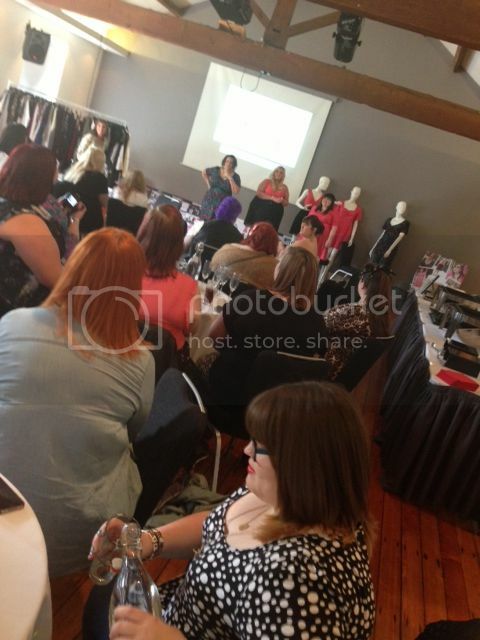 Last week I headed over to Manchester for the Simply Be Blogger Takeover event. Held at the gorgeous Brindley rooms in Manchester we were greeted by the lovely Simply Be and Label PR gang along with a glass of bubbly, hoorah! Simply Be had invited us for a sneaky peek of the upcoming AW13 range (which I'll talk about in a sec) and to celebrate the launch of their first Blogger collaboration. Earlier this year Simply Be approached bloggers Em, Lauren and Laura to create 3 dresses for them to be sold online and at Simply Be outlets. After months of development the girls were very proud to showcase their 3 dresses. Each different in style and feel the dresses are a reflection of both what the girls wanted in their perfect dress and what they thought their readers might enjoy. They've done such a great job and should be very proud of themselves (which I'm sure they are anyway!). After a Q&A session with the girls we had a series of talks from the buyers and designers from Simply Be. I found it really interesting to hear about the processes from design to production, quality control and styling. It was really fun to hear about the the way trends are predicted, where their influences come from and how that's translated on to the high street from the catwalk. I think for me what was evident about the day was how much Simply Be care about their customer, how important it is to them to stay current and on trend, how they're not willing to make sacrifices when it comes to style, just because they are supplying plus size, they try where possible to provide us with exactly the same styles and trends afforded to our slimmer counterparts, which, lets be honest should be the case all of the time from all of the brands. By now I'm sure you're getting fed up of me forgetting to take pics at events (I know I am, forgetful wench, plus my iPhone battery died a death half way through the event) but I will briefly recount some of the trends and pieces that excited me. There was a lot of tapestry prints, PU trims are still a strong story and tartan is going to be even bigger this year. All of which I'm pretty (wetting my pants) excited about. And there was a leather style quilted pencil skirt with a zip up the side (which sounds hideous, but trust me it isn't) that I can't get out of my head. I will be buying that for sure! Oh yeh, and what did I wear? 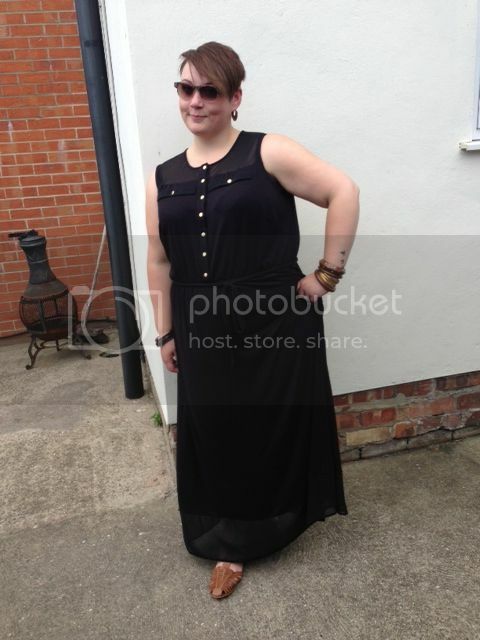 I wore my new maxi from Evans (sorry Simply Be!) I find when I'm travelling (it's takes me 3.5 hours to get to Manchester, so a 7hr round trip) I need fuss free, simple and chic garments that won't crease too much and I feel great in. This ticks all those boxes! Upon receiving your consultation, the most appropriate professional goes to work to give you the answer to your question.